The streaming music services are growing at a lightning fast speed. There is an incredible amount of streaming music services now, Spotify, Apple Music, Pandora, Amazon Music Unlimited, most of them are similar for users to pay around $10 per month for listening to a virtually unlimited supply of full-length tracks, but unfortunately don’t provide a free plan to people to stream music without paying a single penny. Only a few streaming music services offer free music. 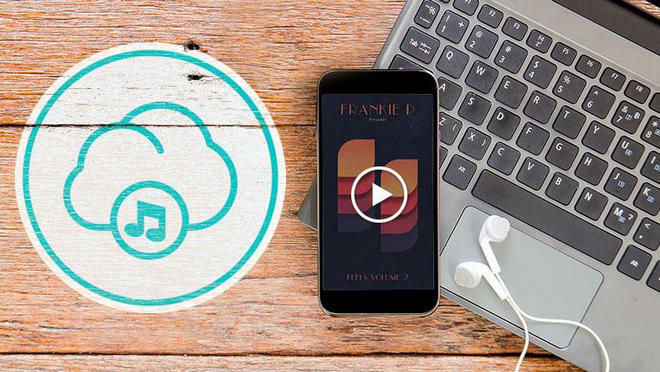 The following list of 4 best free online music streaming platforms will make it easier for you to decide as to which ones are the best to get a space in your devices. Spotify is one of the best music streaming services available. With a library of more than 30 million songs, it provides a streaming quality of about 320 kbps. Spotify is a freemium service, meaning that basic features are free with advertisements. After initially signing up Spotify Free users will get an unlimited amount of free streaming, but only in shuffle mode, with ads periodically while listening and skip limitation. Spotify ads are now more popular that ads on radio, with more and more people choosing to listen to music via streaming services. And there is no offline music caching mode with the free account. Listen to your favorite artists on the go. Browse to find perfect playlists for every moment. Play, create, and edit your own playlists. Share music and playlists with your friends. Let Spotify pick the tunes with Radio. iHeartRadio, an Internet radio platform, is probably the only one music streaming service provider with absolutely no charges included for the access. Although, it is also planning to launch two paid, on-demand music services. Features with a ton of great live radio stations, iHeartRadio gives users the ability to listen to over 15 million songs on its catalogue and stream broadcast radio from over 1,500 AM and FM Live radio stations on their computers and phones. Since it’s free, it’s expected that the ability to record your favorite songs for offline playing is not available. Upon searching for your choice of song, you’ll be presented with a playlist or custom radio station containing a minimum of five songs, including your preferred track. You’ll still have to wait before you’ll be able to listen to it. Custom stations are limited to one seed. Daily skips are limited to fifteen combined per day and six per hour per station. Artists on custom stations cannot be banned from being played again. New songs on live stations cannot be rated until they are added to the database. Only iHeartMedia-owned radio stations can be cast or streamed via Google Chromecast or Xbox app.This also applies for personalized music or specialty stations. 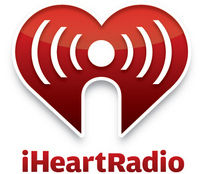 Radio stations that are owned by other media companies are only available on iHeartRadio.com or the iHeartRadio mobile app. SoundCloud is the world's largest music and audio streaming platform – 150 million tracks and growing. With an expansive music library, Soundcloud provides all the basic functionality and free streaming that offers several functions including access to unlimited playlists and few statistics. The key feature of SoundClound is the ability to allow artists to upload their music with a distinctive URL. Other standard features include the ability to create playlists (previously known as "sets"), and to "Like", "Repost", and "Share", to "Follow" another user, and to make complimentary downloads of their audio available. The Free users are allowed to listen to unlimited audio with ads and may upload up to 180 minutes of audio to their profile at no cost. 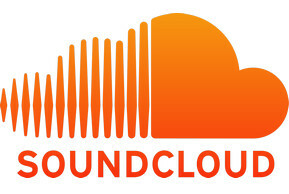 Free SoundCloud users are limited to uploading up to 3 hours of content. Track the number of plays, likes, comments, reposts and downloads their music is getting. Free users are allowed up to 100 downloads for each track. Pro users are allowed 1,000 downloads while there are no limitations for Pro Unlimited users. There are apps for iOS and Android, but not Windows phones. It no longer supports its desktop apps, but you can use the web version through your browser. 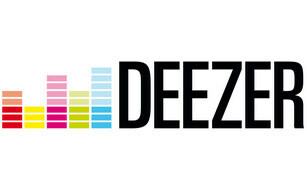 On the scene since 2006, Deezer is one of the older music-streaming sites, with over 30,000 radio channels, 16 million monthly active users, and 6 million paid subscribers as of 29 Jan 2017. Same with Spotify, it also offer a Free plan which allows users to enjoy unlimited music on computer and tablet with advertisements, and only has six skips per hour and no scrubbing. The site has as many as 40 million licensed tracks in its library and is compatible in almost all the platforms, from Android to Blackberry, PC to Windows. Wanna stream music on a free streaming music platform? Or just need to streaming music for free before subscribing? Whatever, top 4 free online music streaming platforms are lsited above, Spotify with over 100 million users globally and 30+ million available tracks, iHeartRadio with totally free access, SoundCloud for discovering new or smaller artists, or the older music-streaming sites -- Deezer. All of them offer a freemium service, we suggest you to carefully compare the music library, audio quality, limitation, geographic availability and then make the best choice.